The Hylian shield and Master Sword were because I wanted a sword and shield to go with another tattoo I have, and I am a Legend of Zelda fan. The gear/circuit panel is a cover-up, but I always wanted a tear-away/opening panel tat that showed a “mechanical/android” theme. 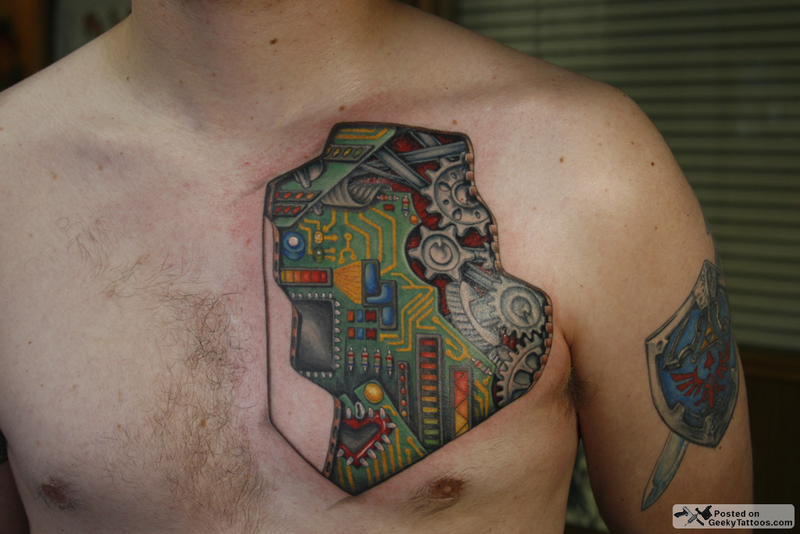 The artist designed most of it based on pictures from the inside of my computer and a bicep tattoo that I found with gears that I liked, but I requested that he change the lower processor to a heart shape, and I think it came out well. The power button fits into the mechanical android theme. 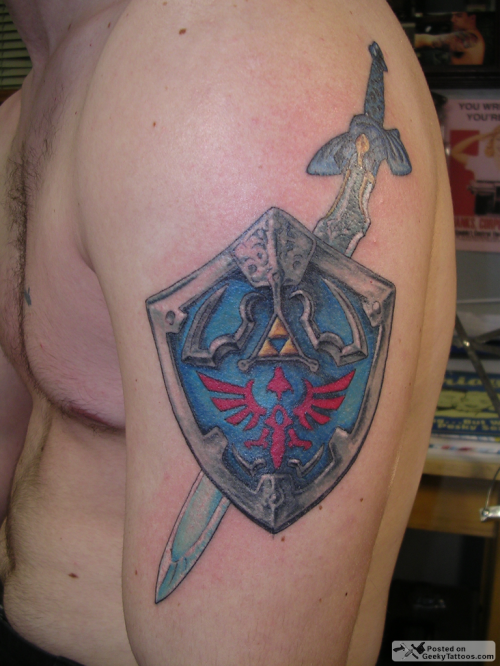 Tagged with Anchorage Tattoo Studio, arm, chest, Hylian, Master Sword, neck, power button, Zelda.